If stairs pose a problem for you, a member of your family, your customers, residents, or employees, Carson Elevator of Salt Lake City can help. In addition to residential and commercial elevators, Carson Elevator also installs wheelchair lifts, stair lifts, and package lifts. All accessibility systems installed by Carson Elevator are designed to meet each customer’s unique and specific accessibility needs. To learn how Caron Elevator can make your home or business safer and more easily accessible, call (888) 371-1948 and schedule your free consultation . A member of Carson Elevator’s residential or commercial elevator and lift installation team will come out and review your project in order to provide you with a detailed and accurate quote. Carson Elevator also offers elevator maintenance and repair services so you can keep your accessibility lift or elevator running great for years and years to come. One of the best reasons to have a home elevator is that it eliminates the need to take the stairs. This is great for many reasons, including the fact that stairs can be dangerous for the elderly or anyone who has limited mobility. Being able to take the elevator up to the second story can also be a source of comfort after a long day at work or when your legs are tired and sore from a long run or heavy leg day at the gym. 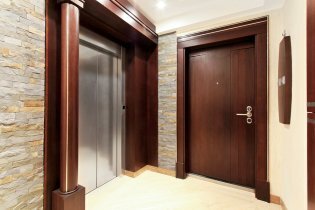 Installing an elevator can add tremendous value to your home. When designed and installed by a residential elevator company in Salt Lake City with decades of experience, you can rest assured that your beautiful and practical new elevator will add to the aesthetic of your home. A residential elevator installer can provide you with a detailed quote so you can estimate your anticipated ROI in the long run. There aren’t many home features more unique than an elevator. Although elevators don’t do much for your home in terms of curb appeal, anyone who gets a look at the elevator inside your home will not be able to forget about it. Word will also spread among your neighbors, friends, and family that you have an elevator inside your home, so be prepared to entertain a lot more guests in the days and weeks following the installation. Ever wondered how an elevator works? You might be surprised to learn that inside the elevator shaft inside your home or business are components based on a design that’s more than a hundred years old. 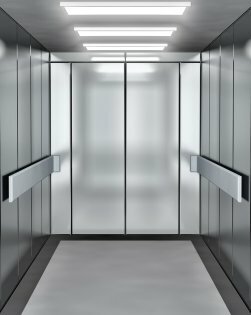 The basic principles behind an elevator lift are surprisingly simple, but together they perform a feat that wasn’t even imaginable not too long ago. Watch this video to get an inside look at how elevators work. Elevators aren’t very complicated, but that doesn’t mean elevator maintenance and repairs should be performed by just anyone. In Salt Lake City, Carson Elevators is your trusted source for all your elevator servicing needs. Whether your residential elevator isn’t working or you need to have a commercial elevator worked on, the elevator maintenance and repair experts at Carson Elevators do it all. Call toll-free at (888) 371-1948 to schedule elevator service today. Unless your building is less than three stories tall or has fewer than 3,000 square feet per floor, your elevators must meet guidelines under the Americans with Disabilities Act (ADA). Failure to comply with ADA elevator accessibility requirements can result in hefty fines and may even be the basis of a discrimination lawsuit. Whether you are planning a new elevator installation or need to renovate an old existing elevator, make sure your elevators are ADA compliant. A commercial elevator installation company in Salt Lake City will make sure your elevators are compliant with all state and federal requirements. 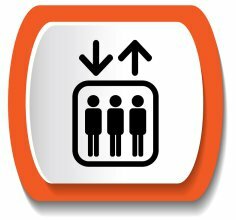 ADA-compliant elevators must have hall and car buttons mounted at 42 inches. Call buttons must also be a minimum of 0.75 inches in diameter, and ADA regulations call for certain illumination levels for all elevator buttons. Additionally, braille plates must be installed next to buttons as well as at the entrance jambs. The inside of the elevator must be large enough to accommodate a wheelchair and allow a wheelchair to complete a 360-degree turn. The U.S. Access Board can provide you with specific elevator cab dimensions, as can a commercial elevator installer in Salt Lake City that is familiar with ADA regulations. ADA-compliant elevators must also have handrails located at specific heights. Again, the U.S. Access Board or your elevator installer can provide you with specific dimensions for handrail height requirements. Your elevator installer can also help you select handrails that meet ADA regulations and also add a stylish look and feel to the inside of your elevator, if that’s something that you are concerned with. Another ADA requirements of certain elevators is that reopening devices activate without physical contact. A commercial elevator installer can retrofit your existing elevator with an appropriate reopening device, or make sure that your new elevator features an ADA-compliant reopening device to make sure your elevator meets federal guidelines.